Inspired by the classic surf sound born in Southern California, the G&L Doheny takes its name from the iconic beach in the heart of Orange County where '60s surf pioneers became legends. Since those halcyon days, both music and surfing have evolved far beyond their roots, and so has the performance of the gear. 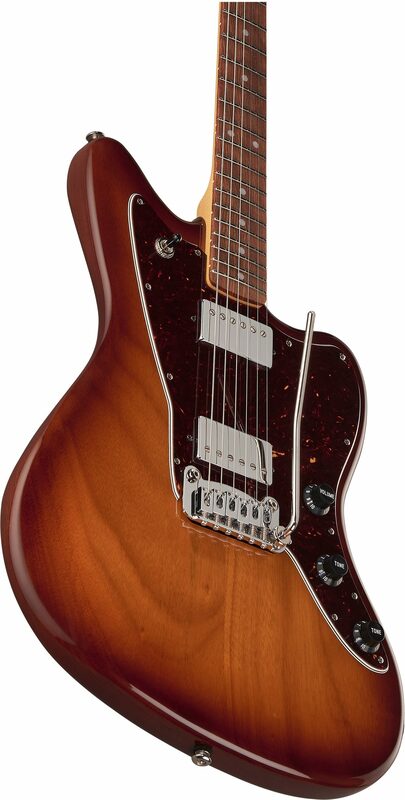 The G&L Fullerton Deluxe Doheny HH Electric Guitar with a Caribbean Rosewood fretboard takes the bolt-on offset-body into uncharted sonic territory with the addition of the G&L AS4255 in the neck position and AW4470 at the bridge with chrome covers. close [x]More ExpectedWe have been given a date of May 12 for the arrival of this item. This date is not guaranteed, rather an estimate based on either information obtained directly from the manufacturer or historical delivery data for the specific manufacturer.